This article is all about Mymensingh Medical College (MMC) information and important details. 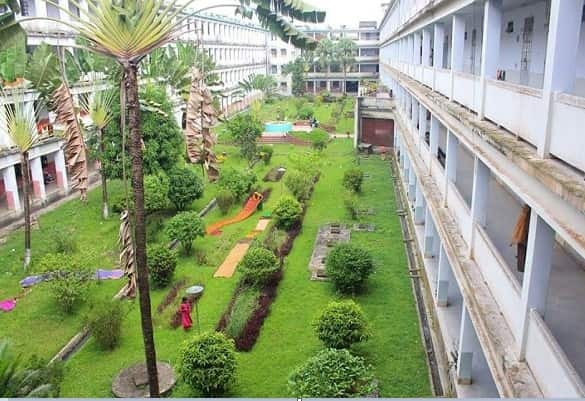 MMC is one of the top 10 government colleges in Bangladesh. Every year many local and foregone students have come to the desire of getting admitted in this prestigious college. Most of the former students of MMC are successfully working in many medical sections. It’s established in 1924 in Mymensingh District, Bangladesh. There are 1,000 students’ studies on the college at 5th batch classes and more than 186 kinds of stuff working in the medical college and the hospital. We are giving a concept about Mymensingh Medical College information with Mymensingh Medical College admission process. In here, we have assembled all the information about Mymensingh Medical Collage and Mymensingh Medical College admission process. Let’s know further more about it. MMC has a beautiful campus on its 84-acre area. On the campus, there are an academic building, 1400 bedded hospital, 4 hostels- boys and girls, a mosque and government bank also. Also, there are well- furnished doctor’s club refreshments or canteen situated on the medical college. Mymensingh Medical College information about all the department is given below. Mymensingh Medical Collage admission process is starting with a written MCQ admission test and viva test for undergraduate MBBS and BDS courses. Students will be selected on their merit basis of the admission test. For the local students, the admission test is conducted under DGS, centrally by Director of Medical Education. And for the foreign students, the admission is through Embassy of Bangladesh in their own countries. Every year 200 local and 25 foreign students get admitting on this collage. For the postgraduate programs such as MD, MS, M Phill, Diploma courses the admission test will conduct by the college. This admission test also consists of written MCQ and viva exam. The MD and MS courses are started from the January session and the admission test will consist in last Friday of February each year. The M.phill and diploma courses are started to form July session and the admission of due courses will consist in last Friday in March. All the admission details for both undergraduate and post-graduate program will publish from late September in the daily newspaper and online. To know any details about Mymensingh Medical Collage admission process please contact in this addresses. This entry was posted in Medical College, Public Medical College and tagged MMC medical apply by admin. Bookmark the permalink.